The Wright Flyer took to the skies on the 17th of December, 1903. There was no looking back after. Airplanes have found numerous applications since their invention, from military to commercial. Today, the primary role of aviation is that of transport. Airplanes are being used to transport commodities and passengers alike. It is the quickest form of intercontinental as well as overseas transport. The number of flights all around the world on any given day runs into tens of thousands. Every airline company has thus taken a huge risk upon themselves. They are in charge of safely transporting materials and men over great distances. The sky is a tricky place and needless to say, moving at 10,000 ft. above the ground has its own set of risks. Airline companies, like every other business, have resorted to insurance to protect their interests and assets. It is a specifically designed insurance developed for the aviation industry. The rules and regulations of the airline business are markedly different from all other industries. There are different types of aircrafts and pilots and each of them needs to be covered by a specific type of insurance. Like any other form of insurance, there are a number of coverage options to protect the insured and his asset from various threats. 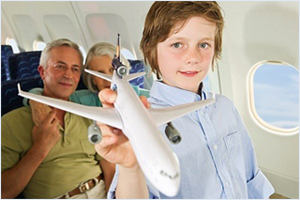 Normally, aviation insurance covers the legal liability of owning and operating an aircraft. It also covers any physical damage to the vessel itself. There are policies to cover the liability of businesses involved in owning or operating a hangar (or an airport) and selling any sort of aviation product. Aviation insurance is an expensive coverage solution. The object to be insured, that is, the aircraft itself, is worth millions. Flying is a risky line of business. Shifting air currents, changing whether patterns, visibility problems and mid air mechanical issues are commonplace adversities. Even a flock of birds flying towards the aircraft at a high altitude can pose a grave threat. The slightest bit of human error or natural hazard can lead to catastrophic losses. The cost of lives lost and damages incurred can be overwhelming. What is covered by aviation insurance? •	Public liability coverage – It covers the owner of the aircraft for damages caused to third party property by the airplane. It doesn’t cover passengers or physical damage of the aircraft itself. Most countries make it mandatory for commercial as well as private operators to carry public liability coverage. •	Passenger liability coverage– It covers the owner of the aircraft for passenger injuries and casualties caused in the course of an accident. Most insurers tend to sell this type of coverage on a ‘per seat’ basis with a cap on coverage for each seat. •	Combined single limit coverage (CSL) – It is a combined coverage aimed at dealing with both public and passenger liability. CSL coverage is usually more lenient towards honoring passenger injury and casualty claim than a third party damage claim. •	Ground risk hull coverage (GRHC) – This is the single most important coverage for protecting your asset while it’s on the ground, standing still or moving. In case the aircraft is standing still, it is covered for theft, fire, vandalism, damage caused by an uninsured vehicle, falling objects, animals, wind and hail or flood. It usually comes with a heavy deductible in order to discourage business owners from making small claims. In case the aircraft is moving (taxiing), it is covered for all of the same things. It should be noted that coverage is not in effect while taking off or landing. •	In-flight hull coverage – This covers the aircraft against damages for the length of time it spends in the air. It covers mechanical malfunctions, damage due to weather conditions, mid air collisions, crash landings, landing break failure and engine stalls. It is at least 6 times more expensive than GRHC. Aviation insurance was primarily created to mitigate the risks inherent of the commercial airline industry. Fleets are underwritten for comprehensive hull and liability coverage. Major international airliners, domestic as well as low cost carriers (LCCs) usually invest in aviation insurance. The aviation industry, having diversified itself over the years, has created greater scope for insurance companies to increase their aviation insurance clientele. Aircraft manufacturers as well as aviation services and products developers have begun to invest in aviation insurance to manage and cover their risks. Private aircraft and helicopter owners are also opting for this type of insurance to cover their assets. Other than the private and commercial aviation sector, this form of insurance has started attracting companies from the field of aerospace. Aviation insurance companies have started providing coverage for missions into space. It covers satellite commissioning, subspace and orbital maintenance and liability operations, launches and recovery. A range of space worthy vehicles are covered including suborbital satellites, geostationary commercial satellites, launch vehicles and a variety of space sensors and equipment. The risks involved in operating and commercially using airplanes and flying vehicles are great. Aviation insurance is the perfect product tailor made to cover all the risks involved in the business and keep your operations running efficiently.